with up to 84.68% WINNING Accuracy! A system so EASY TO USE, and yet so POWERFUL Pips can be literally ‘ripped’ from the market 24 hours a day! Scalp, Daytrade or Swing Trade ANY Pair, ANY time you choose! INSIDE: We will show you the EXACT SETTINGS that produced 84.68% Winners over 81,168 trades on 22 currency pairs, and this is just ONE of COUNTLESS ways the system can be traded! You can DOWNLOAD and start using this system TODAY! It’s EXTREMELY EASY.. the Clear FX Signals indicator reveals EXACT entry points by displaying UP Arrows for Buy Long entries and DOWN Arrows for Sell Short entries. Arrows appear on the OPEN of the bar so that each trade/position was entered as soon as the bar opened, the moment the arrow appears (the user is given the option to adjust this to display on the close of the previous bar). Also note that arrows DO NOT disappear and repaint when the chart is refreshed, as is the case with many other indicators. 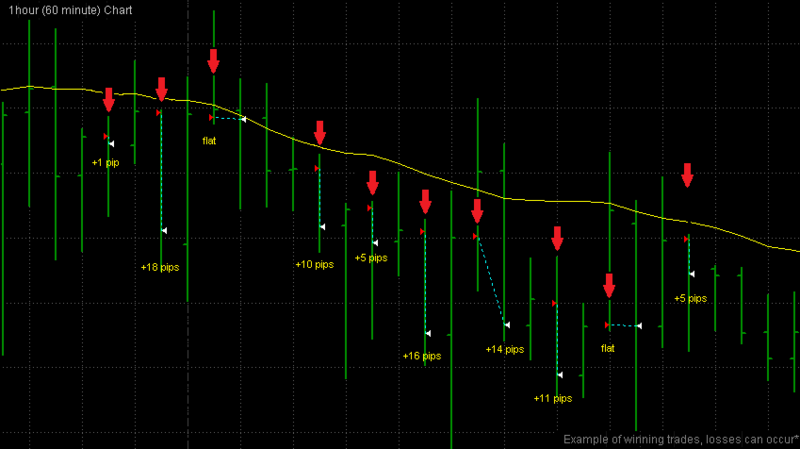 The Clear FX Signals Indicator includes Adjustable Buy/Sell SOUND and POPUP ALERTS. The look of the Arrows can be changed to your liking as well. 575,757 Winning Combinations is Just the Beginning! Picking any combination of 5 of the following 39 pairs, using only ONE time frame for all of them, would give you 575,757 possible combinations to trade. Choose more than one time frame, let’s say a combination of FIVE of them ( 5, 15, 30 minute, 1 hour, 4 hour charts), and there are 5.2723877804447E+26 possibile combinations. In other words to put it simply… you could never exhaust the possibilities in your lifetime! Trading the popular EURUSD, GBPUSD, USDCHF, USDJPY, and EURJPY currency pairs each on a 1Hour (60 minute) time frame, backtested over a 5 year period, produced 6292 trades trading only during specific times of day. 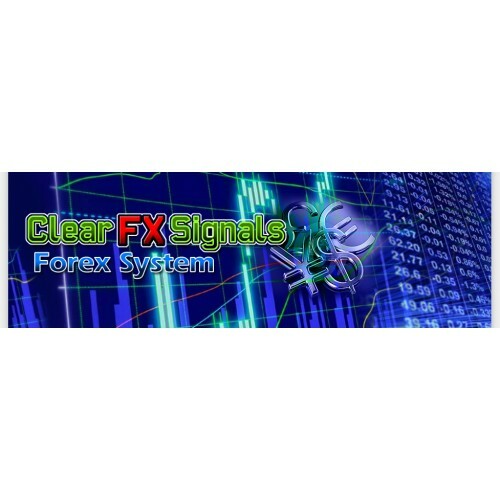 The results were 82.02% Winning trades, and when you download the Clear FX Signals system you’ll see the exact settings and rules that produced these results, outlined in detail! 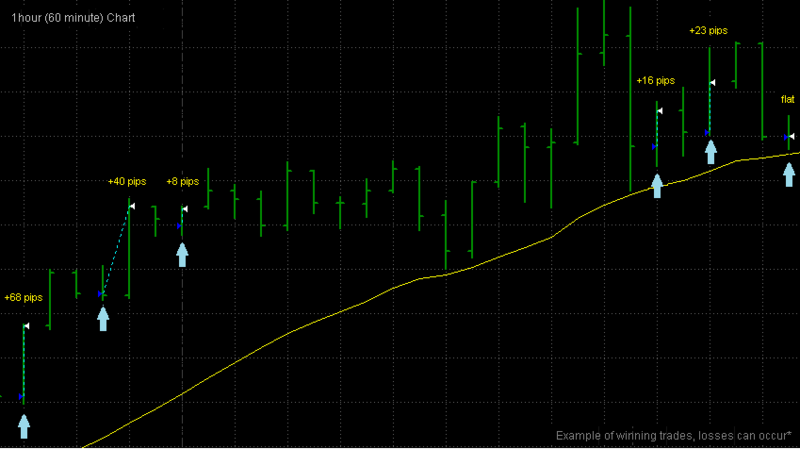 Following are examples of what’s possible with this absolutely incredible trading system. These equity curves are of several individual pairs backtested* over a 6-year period, 24 hours a day (with no time constraints), over THOUSANDS of trades. Now Let’s Combine Some of Them! 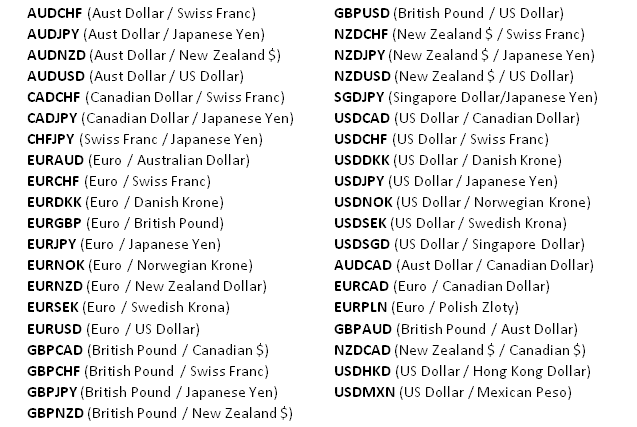 As you can see trading Clear FX Signals on more than one currency pair at a time, using different settings for each pair to get the optimal result from each one, can help to create an even more incredible equity curve and FAR more profit than trading one Forex pair at a time! This is an example of the power of diversified trading with the Clear FX Signals system, although trading only one pair at a time can be pretty darn good too! What Weill You Get After Purchase ?